Restaurants are one of the fastest growing segments of the retail industry with restaurant sales surpassing retail sales in recent years, according to property consultants. But they also noted that with rising competition from new and existing players out to grab a piece of the growing pie, success and growth will depend on the players’ ability to differentiate their offerings to customers. For instance, investors who used to focus on high-end dining only are now diversifying their concepts due to changing consumer demands. 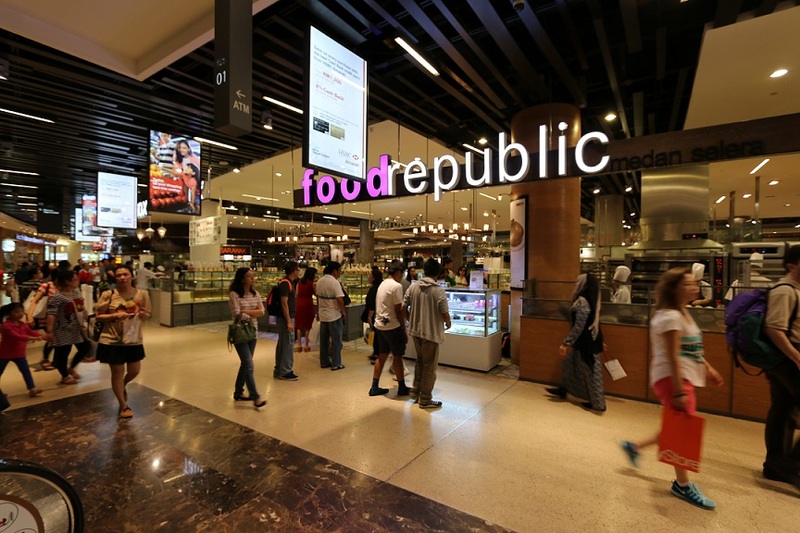 Food Republic at Pavilion Kuala Lumpur shopping mall in the KL Golden Triangle. Fast casual and takeaway options are fast becoming commonplace as investors take note that the younger generation prefers to dine out more frequently but spend less when they do. In Kuala Lumpur today, F&B outlets easily occupy 30% or more of a mall’s net lettable space compared to single digits in the past. In fact, the number of F&B outlets in some shopping malls has risen so dramatically that their operators have dropped the word “shopping” and refer to them as just malls. Food halls and food courts in the KL Golden Triangle (including KLCC) – the Malaysian capital’s main commercial, shopping and entertainment district – are doing a roaring business. In the UK, Oxford Street, located in London’s West End and is Europe’s busiest shopping street, will be transformed into a bustling hub for foodies under plans to open as the island nation’s largest food hall, the London Evening Standard reported. Dekalb Market Hall in downtown Brooklyn, New York. It’s inspired by the traditional hawker markets of Asia and similar foodie markets around the world including Dekalb Market Hall in New York and La Boqueria in Barcelona. Food stalls at the Oxford Street project will be situated at the former BHS department store which ceased trading in 2016. The site sat largely empty until Polish fashion label Reserved moved in last year. Now, the remaining space will house the flagship branch of this new Oxford Street venture bringing three permanent foodie markets to London. A disused Tube station ticket hall in Fulham and a former nightclub in Victoria will also be transformed. 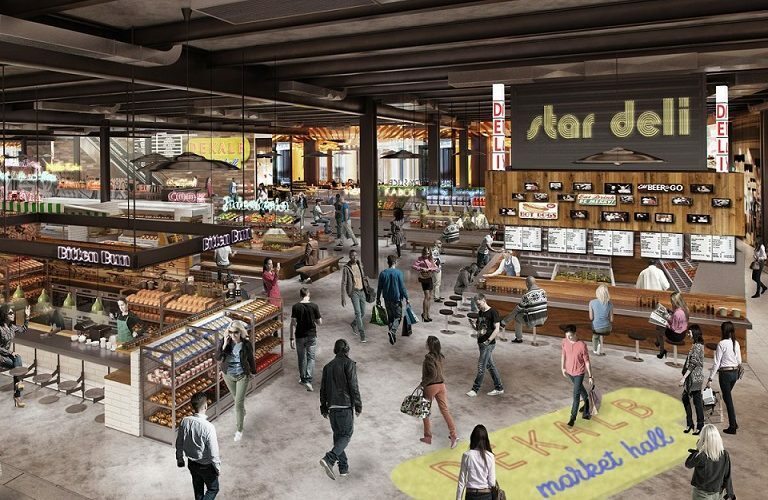 Between them, the foodie markets will feature over 50 bars and eateries including outposts of famous London restaurants and street food traders as well as start-ups. 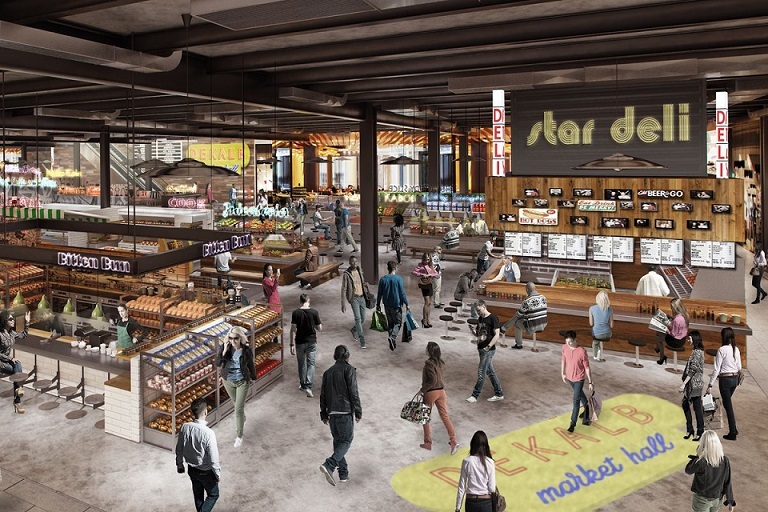 Oxford Street’s food hall: Renders of how Market Hall Fulham, opening April, will look inside and outside. 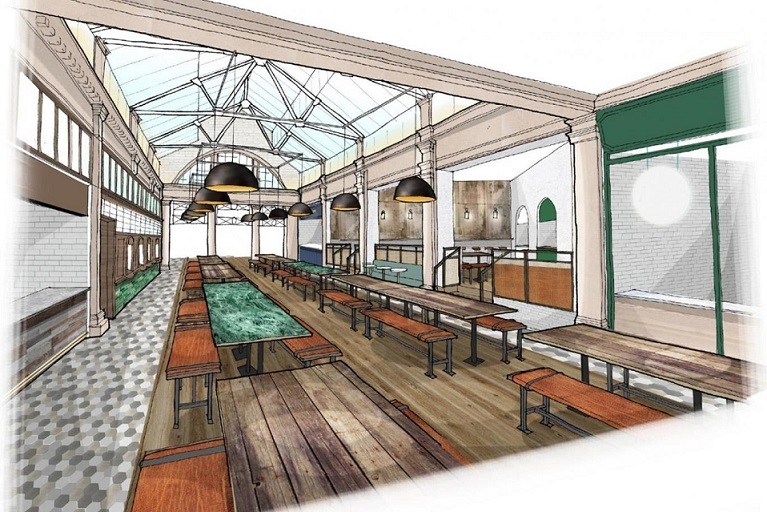 The 10,000sq ft Market Hall Fulham will be the first of the three to open in April, the 14,000sq ft Market Hall Victoria in summer, and the 36,000sq ft Market Hall West End in autumn. The Oxford Street venture’s investors said the foodie markets will have something for everyone and quality will be key. Also, it’s great to bring back life to a space which has been sitting empty. 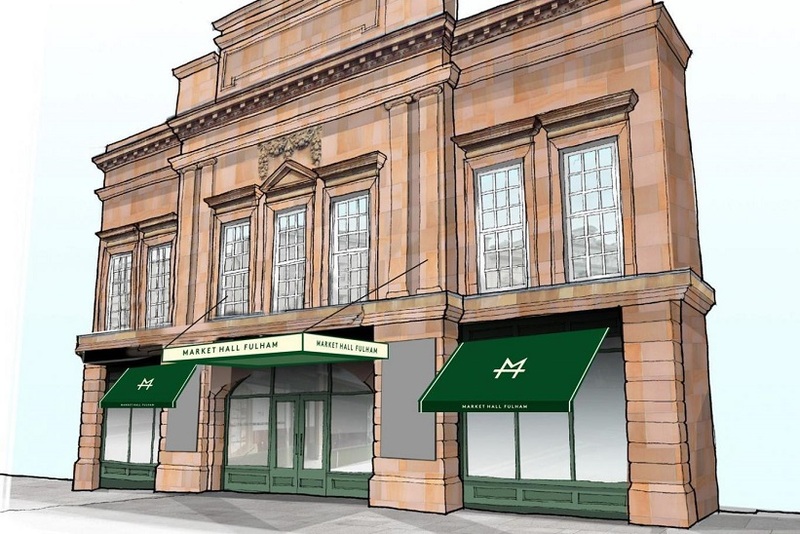 Meanwhile, Bloomberg reported that the world-renowned Harrods Food Halls are getting a grand makeover as these are no longer just for tourists and princes. 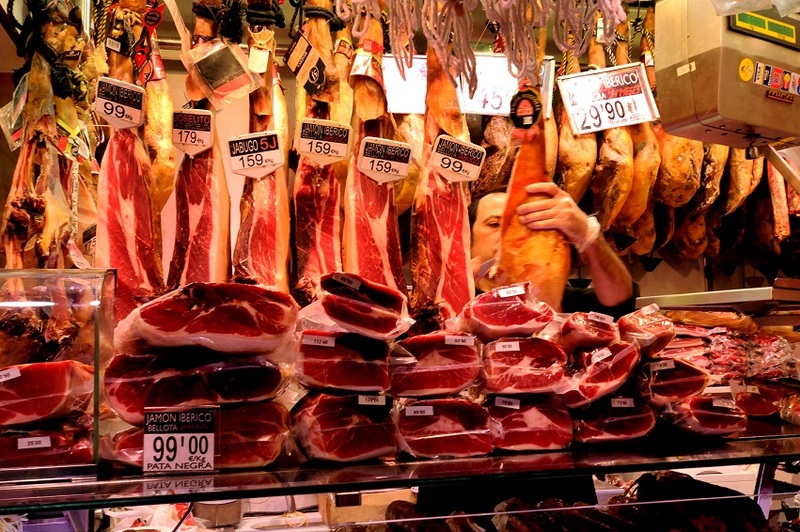 A meat stand at La Boqueria, Barcelona. The Knightsbridge department store’s first of four food halls opened just before Christmas. The other three will come in phases over the next two years. Harrods, seen to be not where many Londoners get their milk and meat, wants to revive the whole experience of shopping. In this era of Amazon.com, the aim is to offer something customers can’t get online, especially the chance to see, smell and decide after consulting in-house experts, the report added.